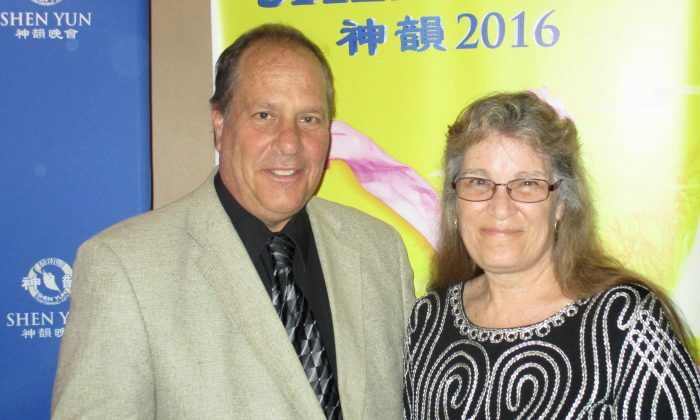 CLAREMONT, Calif.—Mayor Elliott Rothman and his wife Pam attended Shen Yun Performing Arts’ opening night performance at the Bridges Auditorium on April 8, 2016. Mayor Rothman has served as Mayor of the City of Pomona since 2008. His long-standing public service for the people in Pomona began 20 years ago. Prior to 2008, he was elected to serve as City Councilmember for Pomona’s District Five in 1996. He is known for being actively involved in his community through his support of local organizations and groups. Traditional Chinese culture is rooted in spirituality and deeply influenced by Buddhism, Taoism, and Confucianism. 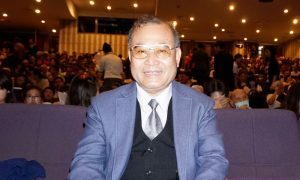 Since the Cultural Revolution in the 1960s-1970s, the Chinese communist regime has attempted to systematically eradicate traditional Chinese culture, forcing atheism upon the people. In 2006, a group of leading classical Chinese artists from around the world founded the independent, non-profit Shen Yun Performing Arts with the mission to revive China’s divinely inspired culture, aspiring to share it with the world through storytelling, dance, and music. Through approximately 20 vignettes, Shen Yun transports audiences on a journey through 5,000 years of Chinese culture and beliefs—from the Yellow Emperor descending from the Heavens to rule the Middle Kingdom, to the Tang and Qing Dynasties, all the way to modern times. 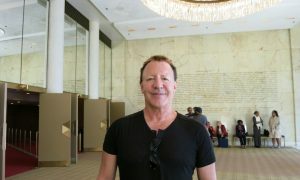 “I like the way they go back in time, being able to pick out different periods and different places,” said Mayor Rothman. 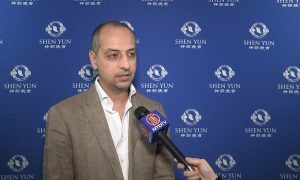 Shen Yun cannot be seen in modern China, where traditional culture has been nearly destroyed by the communist regime, and where artists cannot freely express themselves. The message of religious freedom that Mayor Rothman spoke of can be seen in the two pieces titled “Monks and the Red Guards” and “The Steadfast Heart.” The latter piece depicts the communist regime’s present-day persecution of believers of the spiritual practice Falun Gong, who ultimately triumph as a result of their peaceful faith. 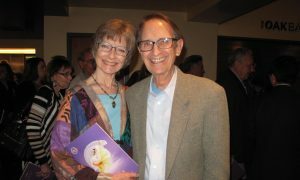 A Shen Yun performance encompasses classical, folk, and ethnic dances, accompanied by digital interactive backdrops and a unique live orchestra combining Chinese and Western instruments—add to that solo vocalists and instrumentalists. All of this is enriched by the brilliant colors and textures of the 400 original, handmade costumes. 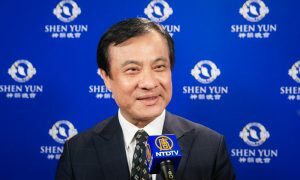 At the heart of a Shen Yun performance is classical Chinese dance, which has been passed down and refined over thousands of years, yet is still little known in the West. Alongside ballet, it is one of the most comprehensive dance systems in the world, according to Shen Yun’s website. 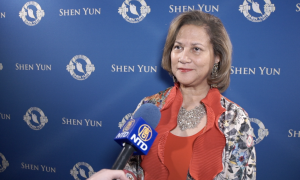 Mrs. Rothman had high praise for Shen Yun’s performers, noting that she was in awe of the talented musicians and dancers. I haven’t seen anything like it. 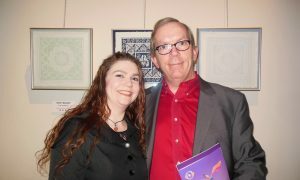 Mayor Rothman said he would recommend Shen Yun to everyone.